Charm LaDonna coming to Joy of Dance, Monday July 24!!! 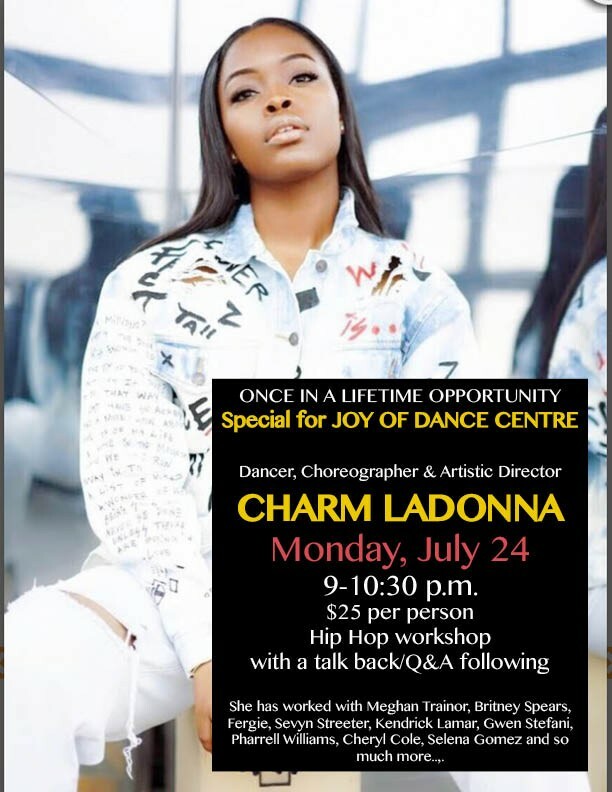 We are very excited to announce that Charm LaDonna will be visiting Joy of Dance on Monday July 24, 9-10.30pm!!! She has worked with many artists such as Meghan Trainor, Britney Spears, Fergie and many more!!! This is an amazing opportunity. Come and join us next week. Hip Hop workshop with a talk back/Q&A following.